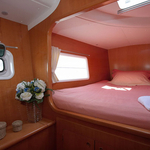 Sailboat Lagoon 380 named Ameli has been manufactured in 2006. 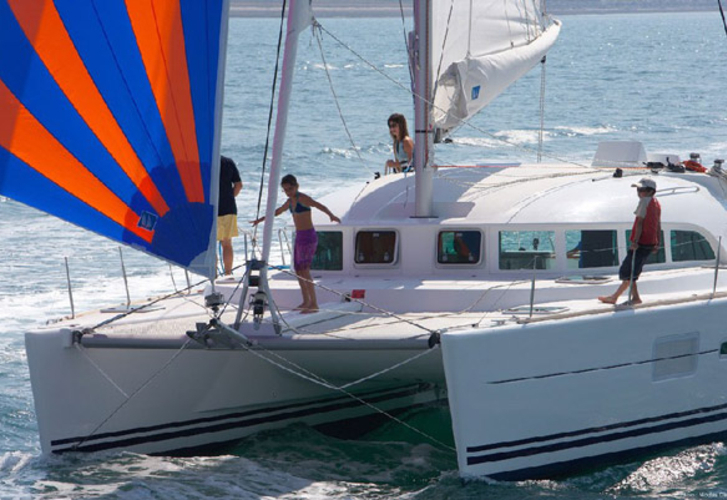 We propose this vessel from harbor Lefkada in region Ionian Sea. Ameli is registered for 8 pax. Layout of the vessel is 8. 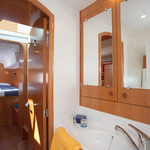 Lagoon 380 Ameli has 6 bedrooms. For comfort of passengers there are 2 WC. You can fill the tank for fuel with 260.00 l l. and in water tank it goes even 600.00 l liters. With motor 2 x 30 hp Volvo Penta D1 30SD Ameli can move really fast. Ameli is 11.55 m long and 6.53 meters wide. Draft is 1.45 meters. 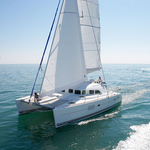 Analyze more yachts by going to this section: Catamarans Lefkada. 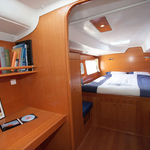 Vessel's equipment consists of : Mainsail with lazy jack, Wc pump electrical, Bed linen, Radio / cd player, Bimini top, Anchor electric windlass, Dinghy, Gps plotter, Inverter 12v-220v, Solar panels, Outboard engine. . Security caution there is 2800.00 EUR. 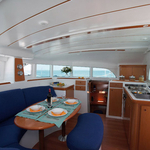 Choose our offer and have fun on the deck of Ameli. 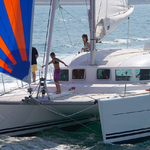 This Lagoon 380 from Lefkada from Greece Read about clicking here: Catamarans Greece.